Use this sign to designate your 5S Red Tag area. This sign will clearly highlight the department or companyâ€™s storage location for Red Tagged items. 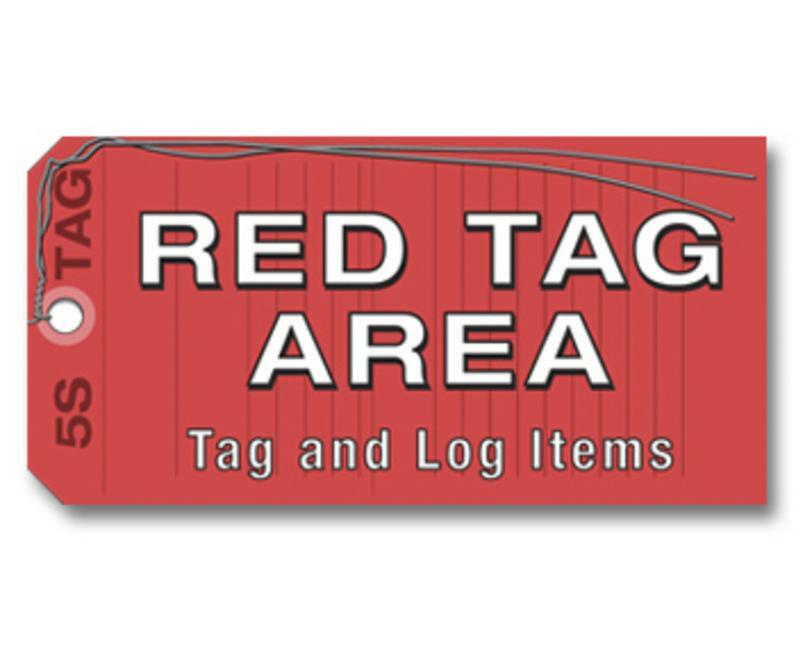 All items that are in this 5S Red Tag area need to be clearly identified and tagged prior to entrance. The sign is designed around a red tag theme, providing consistency with the standard Red Tag used to mark equipment, tools, and other items.